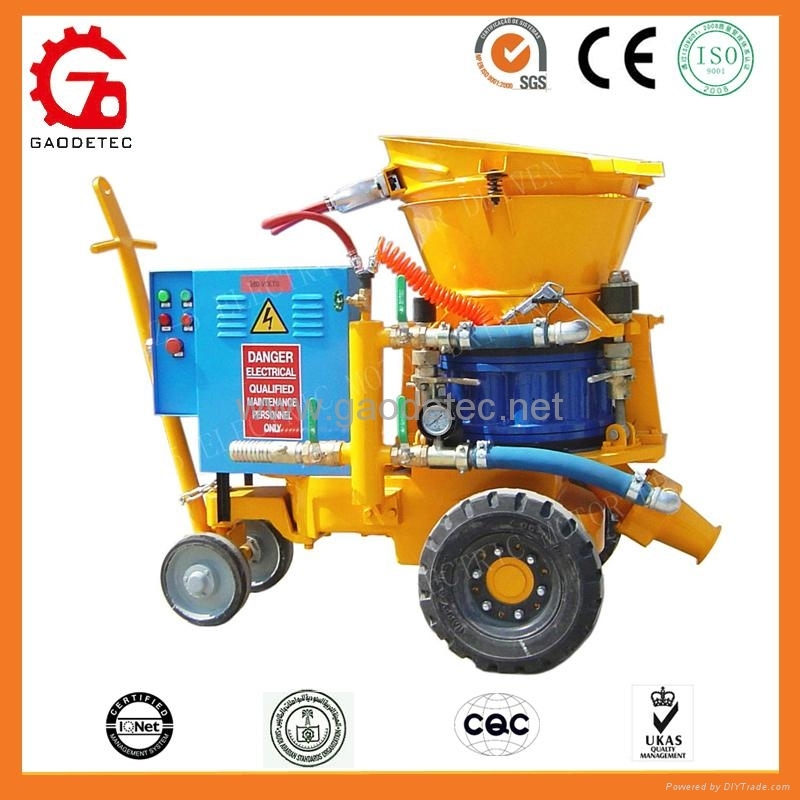 GZ-5 shotcrete machine is medium-sized shotcrete machine for the processing of dry mix. And widely used by so many contractors. 7. Soil retention and retaining walls. 8. Underground excavation engineering etc. 1. Variable output with variable-frequency drive. 5. 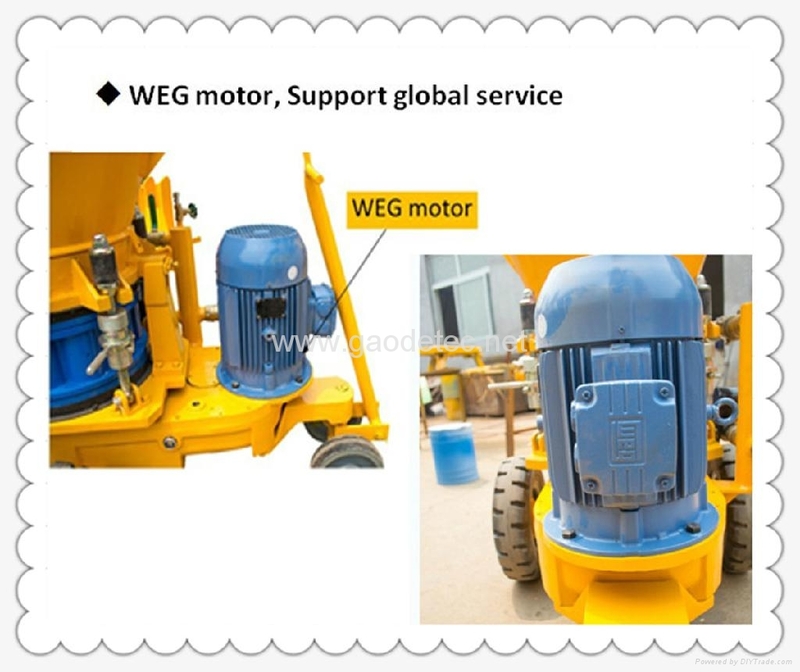 WEG motor, Support global service. 1. High quality, reliable performance. 2. Good seal performance, little dust. 3. Reasonable design, convenient to move. 4. Convenient operation and longevity of service. 5. Non-adhesion going-through rotor with new material chamber, completely eliminate bonding and blocking during operation so as to reduce clearance and maintenance period. 6. 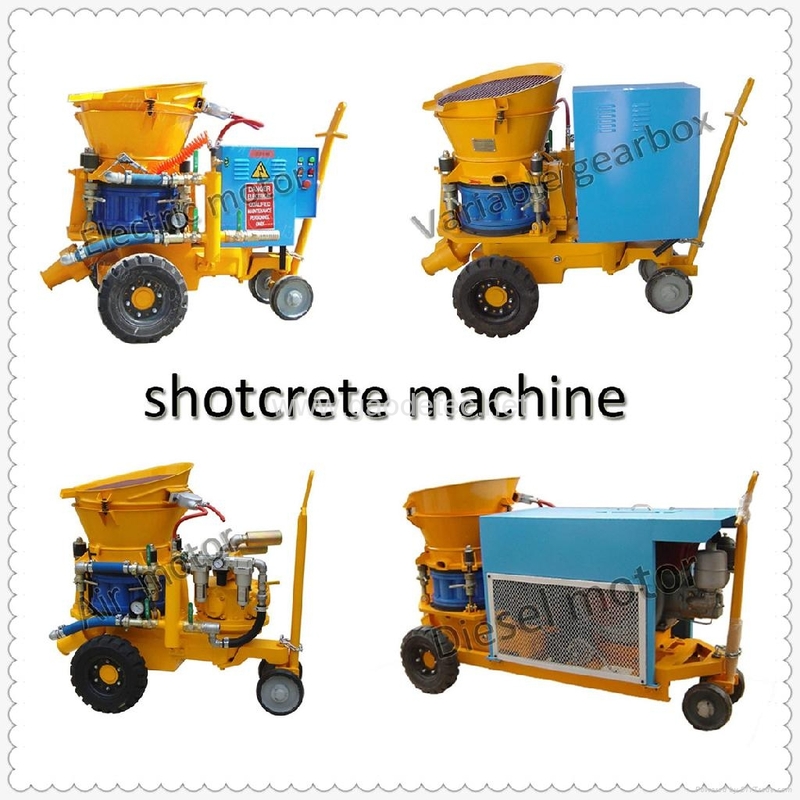 Thin flow conveying method with vortex flow, so the spraying flow is even, continuous and steady, to improve the shotcrete quality. 7. Four-point clamping device make it easy to adjust the press between sealing plate and rotor disk so as to no air and dusk leak and prolong consumption parts life. 8. 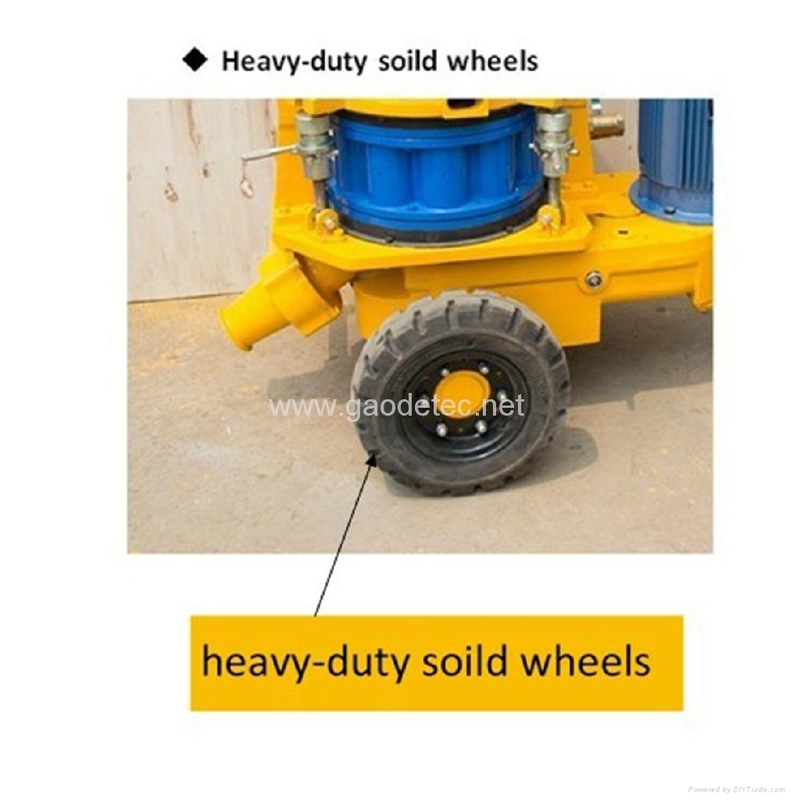 Widely used in mining, tunnel, culvert, revetment etc. Extended (optional): Electric motor drive with variable speed gearbox, air motor drive or diesel drive combined with Skid or Rail-wheel. 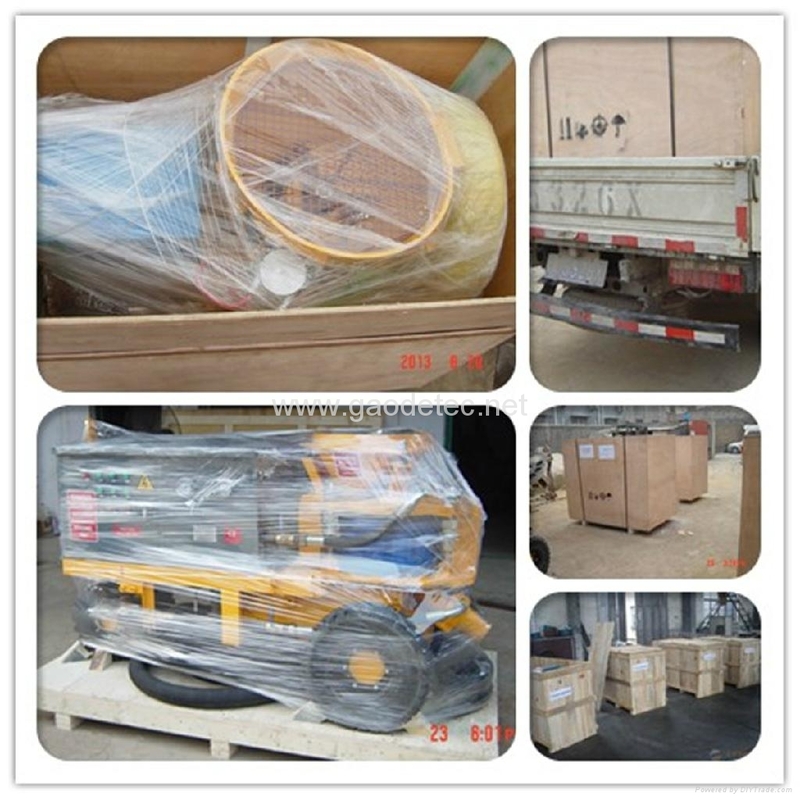 Packing︰ plastic wrap, plywood case, free-fumigation, standard export packing. as shown below. Or customised.